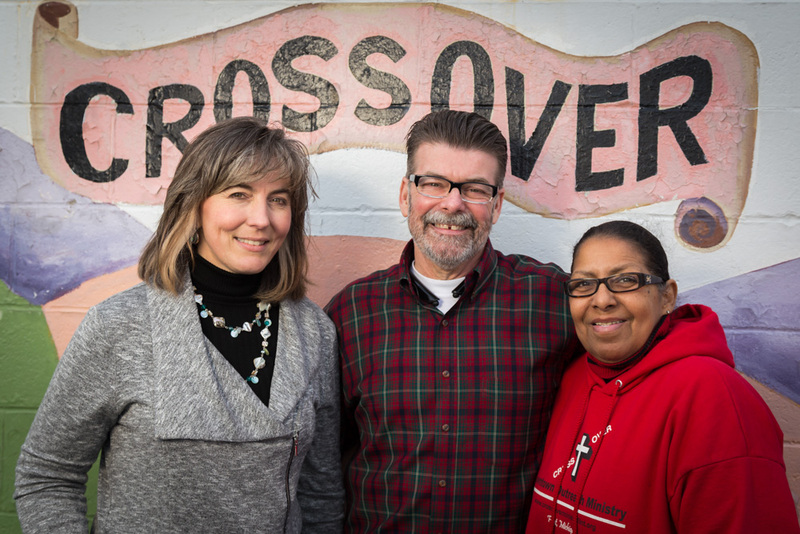 Crossover was founded in 1991 by three Flint churches: First Presbyterian, St. Paul’s Episcopal and Court Street United Methodist, which united to provide a convenient, central, service center to help meet the needs of the less fortunate and offer programs designed to help people become more self-sufficient; in other words, to “cross over” to a better life. They were joined in 2001 as a sponsor church by Riverside Tabernacle, and serving on its board are members of each church. 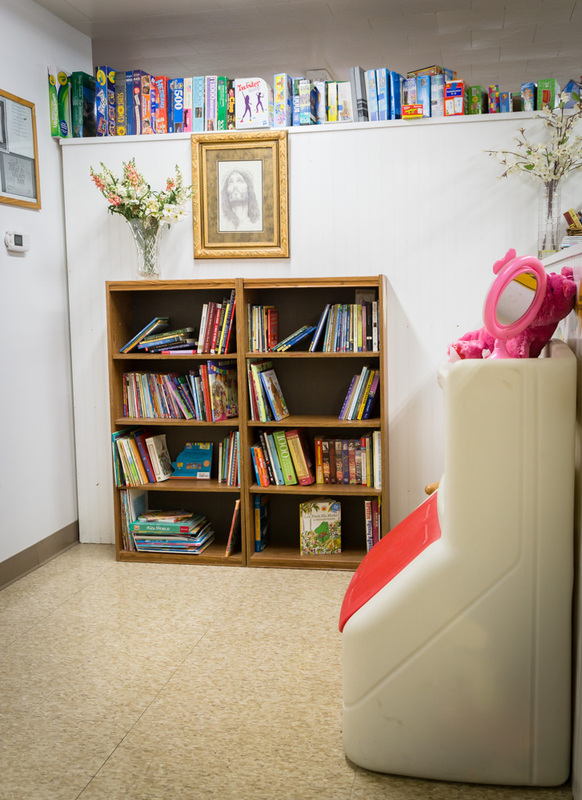 The goal was to create one-stop shop for things that people may need. Crossover has done that. 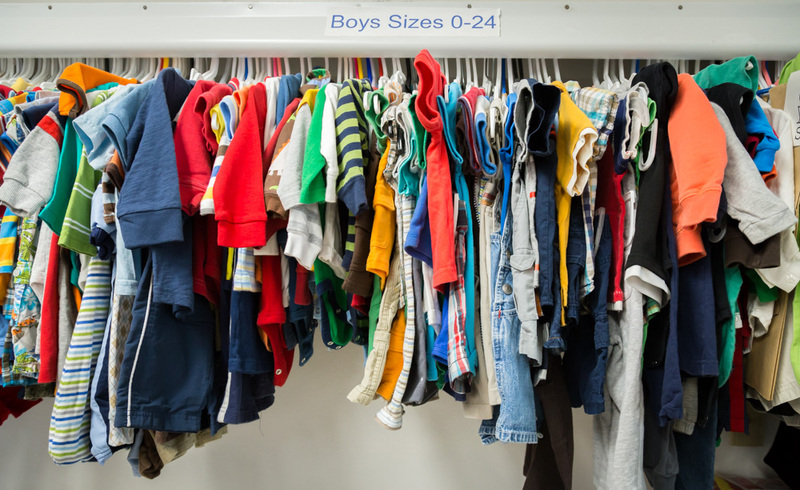 Furthering Crossover’s mission, they help families, children, and the homeless with free necessities, as well as household goods (dishes, pots and pans, bedding, infant items), and other miscellaneous items. Recipients are screened and referred by the Department of Human Services; Love, INC; the YWCA Women’s Shelter; the Wellness/AIDS agency, and a number of other area agencies. They also offer programs to improve the self-sufficiency of some clients through youth programs and job experience. “It has been very enriching for us,” says Craig Leavitt, Executive Director. Privately funded, Crossover relies primarily on donations and volunteers. “Our volunteers have truly poured their hearts and souls into this,” says Denise Diller, Development Office. “No matter where they are in life, people can either help us, or get help from us.” Crossover receives funding from individual contributions, churches, civic organizations, businesses and grants. 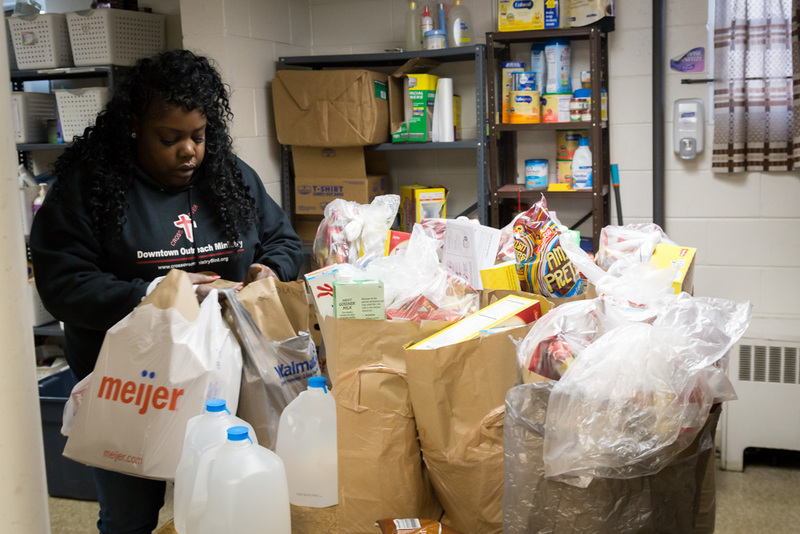 Food comes from donations by churches and individuals, and from the Food Bank of Eastern Michigan. 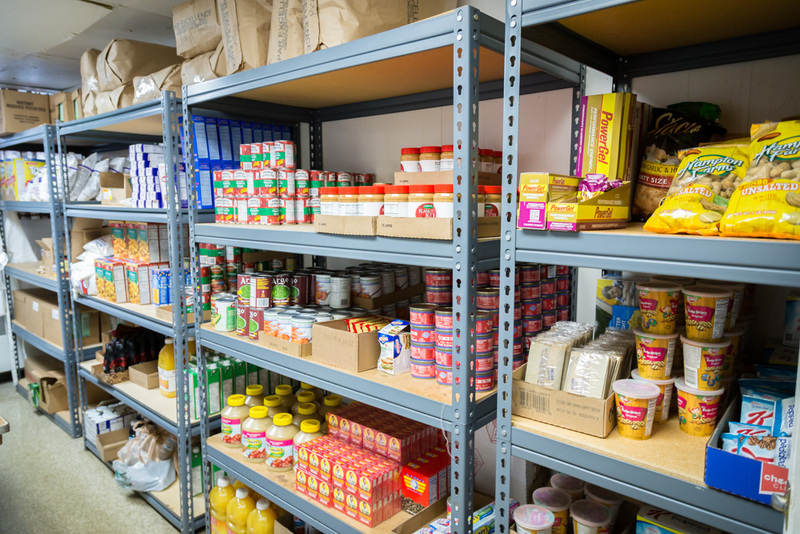 Through their partnership with the FBEM, they can get bulk food items inexpensively, which is a tremendous help to staying within their budget. 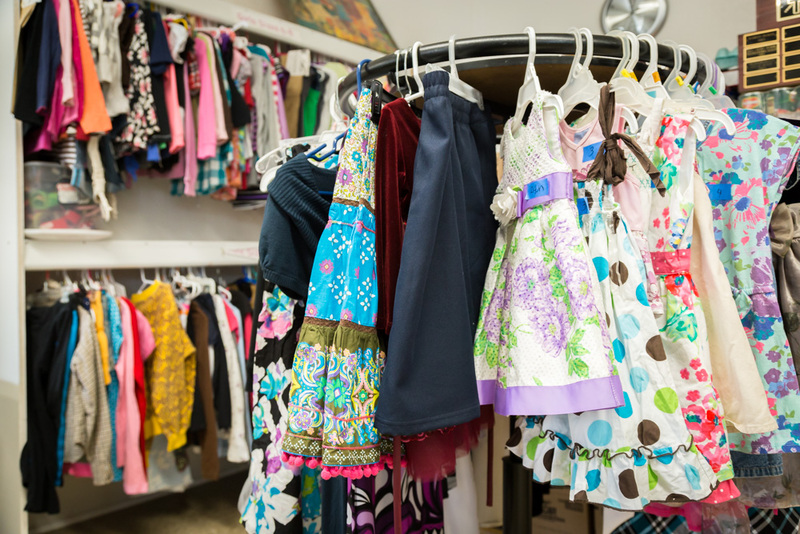 Donations of clothing and housewares are generously made by individuals, churches, civic organizations, and businesses. Diller and Leavitt believe that Crossover is on the front lines of what is going on in the Downtown Flint area, although they certainly don’t limit their efforts to only those who are in need in Flint. 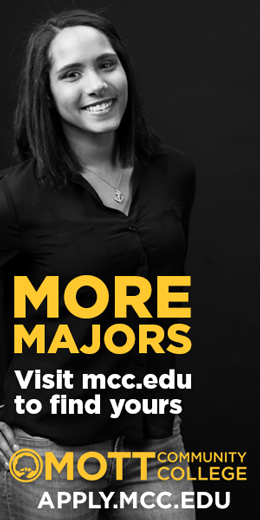 “Unless you’re right here in the trenches [Downtown], you don’t see all the small efforts. We’re all helping the same people,” Leavitt says. 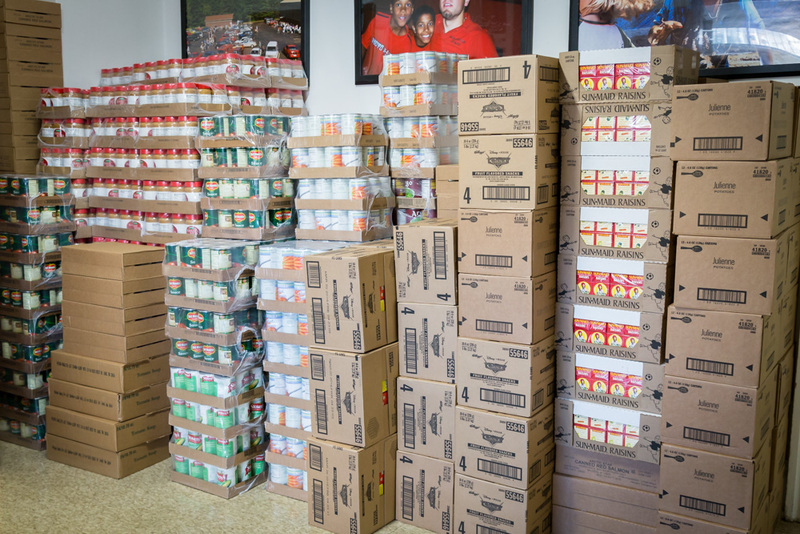 The care packages they distribute contain two to three days’ worth of groceries: breakfast, lunch, dinner, snacks. 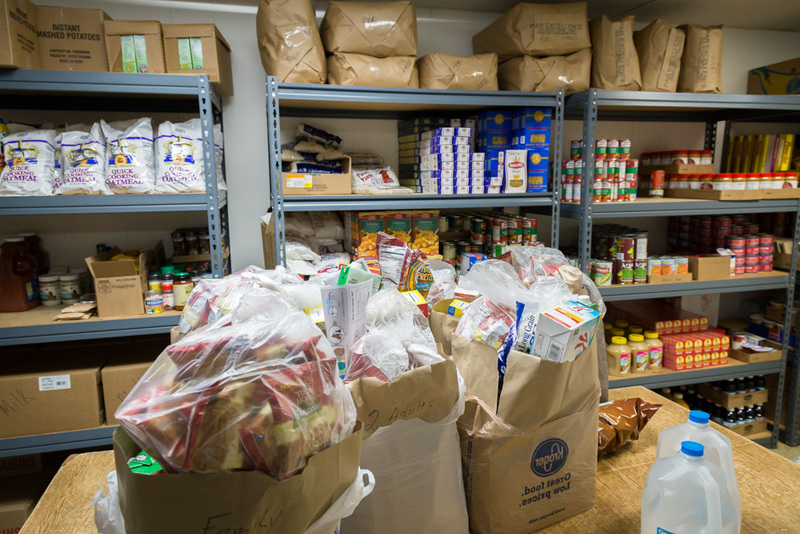 The majority of the food is non-perishable, but some meats are available to add in. “We try to make it a well-rounded bag that is nutritionally valuable,” Diller explains. 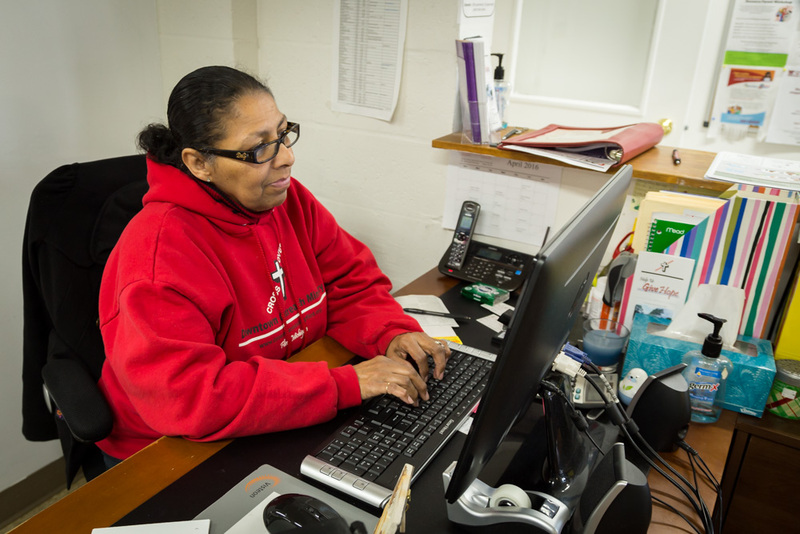 Along with Karen Dukes, Center Coordinator, who has been there for 24 years, Crossover has a five-member part-time staff and other volunteers who help make their programs work. 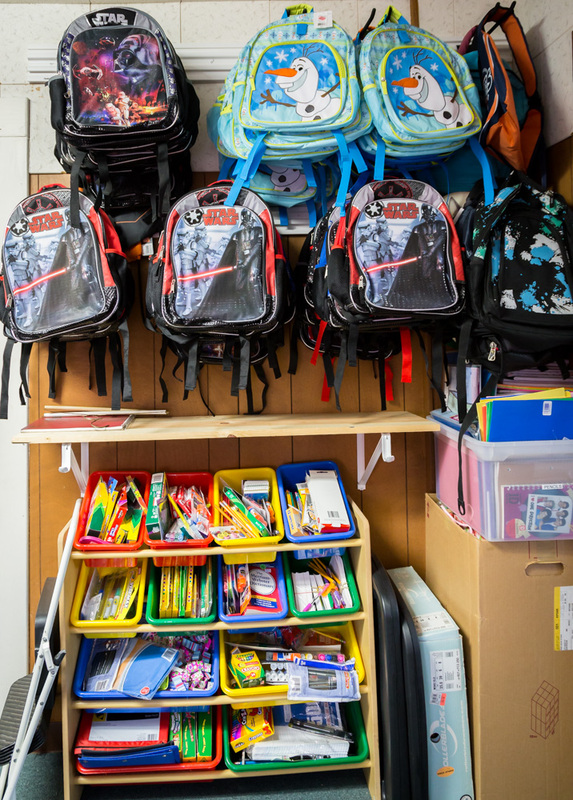 With food, clothing and other household items stashed in every available space, anyone visiting Crossover’s headquarters would be amazed by the meticulous organization of their well-oiled machine. Mostly, they pre-pack the items in “prep rooms” that allow them to assemble care packages quickly and efficiently. Even if some of the clothing is in disrepair, nothing goes to waste; it is either passed along or recycled. 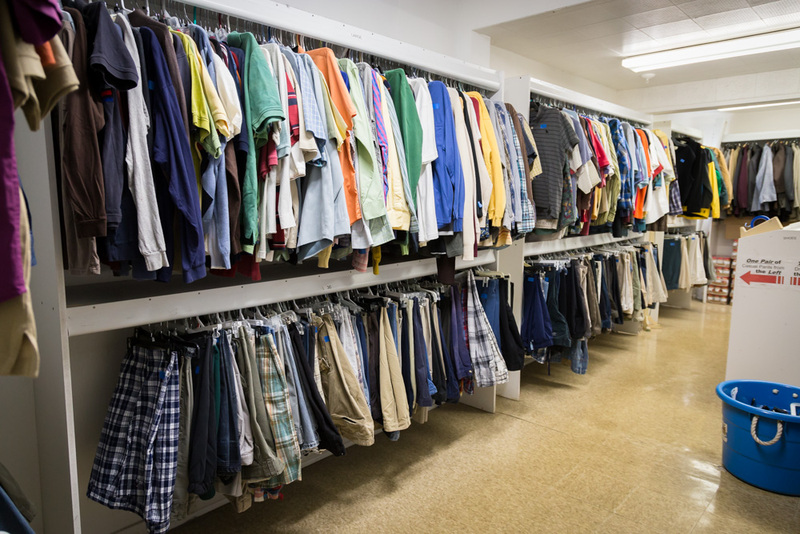 Clothing available at Crossover is rotated once every three months, to keep it seasonally appropriate. All items are sorted and organized by size and type. Clients can receive three outfits every three months. 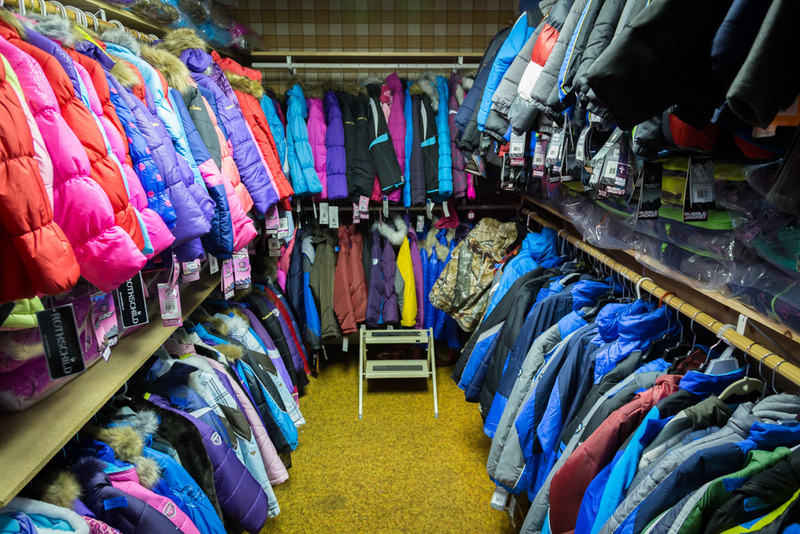 Last year, Crossover distributed over 500 new coats to kids during the holiday season. 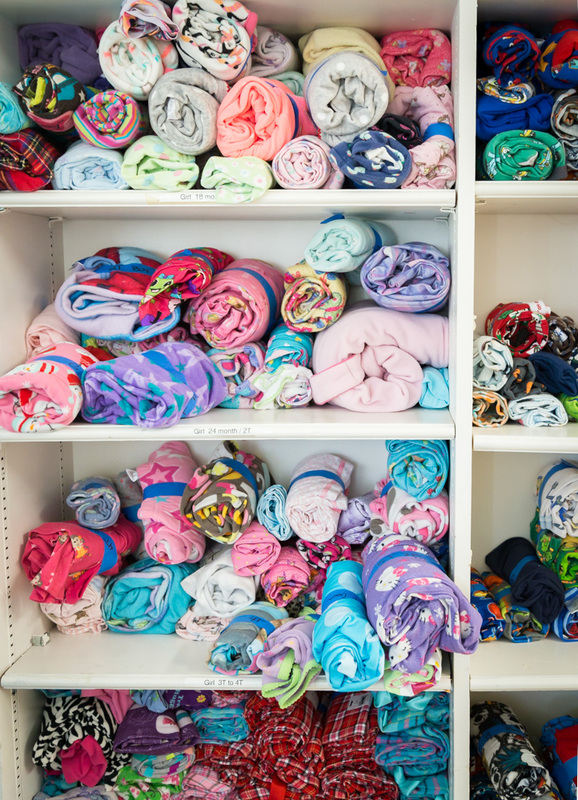 At that event, they provide meals to approximately 100 families, and adults even receive gifts such as towels, bedding, cologne, and other items. The kids who benefit from this service get to attend a sleep-away summer camp, where they meet new people and do new things. Through Crossover, 40 3rd-5th-graders and 6th-8th graders go to summer camp in Presque Isle each year. “It’s an opportunity for them to see something different,” Diller says. “If you live in the inner city your whole life, going up north to be outside and see a lake is special.” The children do their worship outside, play in a waterfall, and they meet children from outside their community and hear their stories. Crossover’s 25th Anniversary Dinner & Silent Auction was held at Riverfront Banquet Center on May 2. They presented the Spirit of Crossover Award, which is given to a group, organization or individual for outstanding participation over the past year; and The Friend of Crossover Award, which is for a group, organization or individual who has assisted Crossover in a significant way for the past year. In addition, proceeds benefit The Doris Sutton Memorial Fund, designated mostly for children’s programs, such as back-to-school and summer camp. 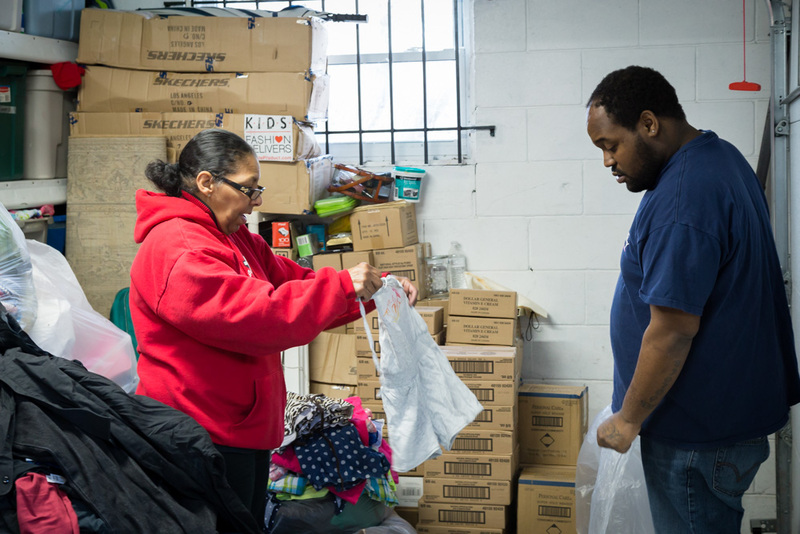 Donations can be delivered to Crossover Monday through Friday, 9am to 3pm, or via the website at CrossoverMinistryFlint.org. 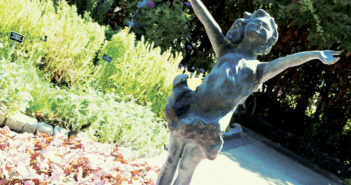 Next Article “A Taste of Culture”Presented by Communities First, Inc.